AUTISM ACADEMY – Speed sprinting, hurdling hurdles, coaching, and training are the characteristics that define Trevaia Williams-Davis. Now, she’s sharing her shining experiences with students enrolled at the Autism Academy, a school for children with autism. Initially, the goal is to help students with coordination, balance, strength, and locomotor skills, Williams-Davis explained. She’ll be partnering with physical education teachers creating individual strategies to help children with challenges advance in these areas. Williams-Davis has been inspiring kids since her own childhood. Her lifetime journey started in the hot and humid streets of Houston, Texas, leaping across the USA Olympic stage, and panting past every pre-defined finish line. During childhood, she says she used grit and imagination to create fun and exciting workouts. She raced against her own time in 400 meter repeats around the concrete complex parking lot – calling it fun and therapeutic. Running, plyometric training, weightlifting, and nutritional discipline became a part of her process. Weekly, different kids joined in trying to keep pace during her increasingly intense trainings. Some cyclists volunteered to ride alongside passing out water to exhausted runners. As a 4th grader, she lacked the administrative expertise to continue coaching children in the neighborhood. As a result, a 5th grade teacher at Mount Houston Elementary, Mr. Jackson, provided the first opportunity for her to participate on an official track team. This opportunity opened more doors than she could’ve imagined. Since 4th grade, the training process produced priceless promises. Earning team medals with USA World Championship, World University, Pan American, Olympic Festival, and the 1996 Olympic Team, made her value the fitness process. 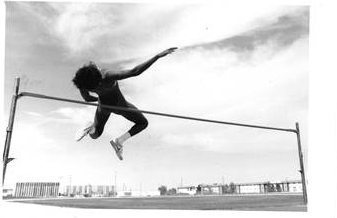 In 2006, her extreme training was recognized as an inductee into the University of Nevada, Las Vegas Sports Hall of Fame. Williams-Davis knows how to provide intense coaching, get measured results, and exceed expectations while offering a sense of Olympian experience and confidence. The administrative team at the Autism Academy is jumping high hurdles to provide students with autism the absolute best. With exceptional teachers, solid support systems, individualized learning, and innovative resources the school is racing full speed ahead. For more information about our school for autism, take the time to continue reading our blogs.